I don’t pay much attention to the Mary Kay products. After more than 50 years, they’re still mediocre products (drug store quality) that are overpriced (department store prices). But a new MK product tickled my funny bone. You are basically doing extra moisturizing. And OF COURSE this makes your skin feel nice. The funny part is the price. $70 for 4 of the masks, with a recommendation to use them twice a week. $17.50 per mask, and be ready to buy a new set every other week. I bet you’re wondering how “on trend” this product is? How cutting edge Mary Kay is again? Late to the party, as usual. There are a ton of these sheet masks available. You can get them for a lot cheaper, too. Pink Truth Does Las Vegas! 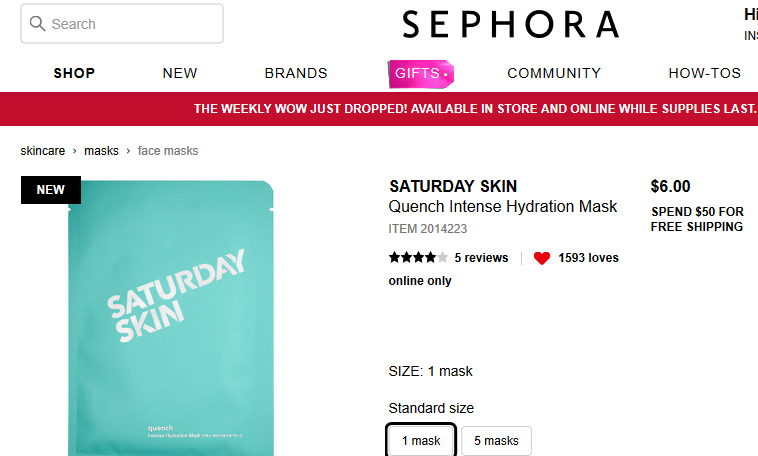 $70 for 4 sheet masks is absurd. Sephora offers a ton of them for $6, and you can switch up based on your skin’s needs at that very moment. What we need in Winter isn’t what we need in Summer, yet MK thinks so! I’d feel uncomfortable paying $35 wholesale and using them myself! You would feel comfortable paying $35 “wholesale” for a mask? Honestly if you want to get rid of that amount of cash, just smash an avocado on your face thrice a day. $2.50 at CVS for a single mask. Tell me again how this late arrival to the mask market deserves $70, please. It’s already on eBay for a lot less than $70. Tracy you are spoiling us! All these extra posts. Ive been getting them from Asian stores for years.. If anyone has a MK product post it along with the ingredients then let’s match it drug store brands so the public can see they are getting ripped off. Geez. You can get a whole set of actual Korean face masks for far cheaper on Amazon. 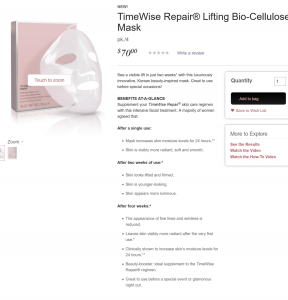 So, who are the people selling the brand-new Mary Kay Bio-Cellulose masks on eBay? Sales Directors who bought them to make production? Or those dastardly porch thieves are back. Saw several SDs in a particular NSD area pushing a new idea. Instead of a MK party, they’re calling it a MK “experience”, heavy on all the MK masks. Different level “packages” for hostesses, including a platinum package. They are suggesting spa music, and warm washcloths, heating them in a crock-pot. Of course, you’ll have to buy the washcloths and constantly wash them. Other suggestions: Be careful how you wash them…the white ones may not look clean from the charcoal mask, so you should consider using black washcloths for those. Be careful what detergent you use, in case someone has a bad reaction to the detergent: you don’t want them blaming the MK product. Not surprisingly, your guests will each want a different mask, so you’ll have to bring them all, and time each treatment separately. You’ll be in the living room, not the kitchen. This will spread to other areas. So, consultants, get out those credit cards. You’re going to SPEND a bundle, and work your tail off, on the “MK experience” idea. Enorth, where are you? I’ve seen this terminology on a Canadian SSD’s FB page. She made her IBCs sit in a crepe-paper jail and book their way out. 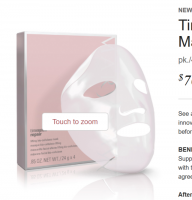 I can’t imagine how much these masking experience classes are costing in demo products. LOL It has probably already spread across all of North America. So at $17.50 a pop ($8.75 wholesale), the consultant is going to have to eat the cost of a mask for each person? I’m sure the theory is that everyone will buy enough crap to cover the cost. Except if you’ve ever held parties, you know how hit or miss the sales can be. Regular samples are expensive. This is way worse. This is the worst loss of profit I’ve ever seen. Demo tubes never cost us this much! I think MK feels, by jacking up the price, they’ll appear to be a luxury brand. Unfortunately, they attract customers that want discounts on $13 lipsticks and will lie about already being a customer to get hostess credit. In our lifetime, MK will never get itself to a more prestigious level. Consultants and Directors reading this, take this as a major example and proof of how MK corporate TRULY does not have your best interest at heart. To give you a product that is already on the market and expect you to sell it for so much, it’s insane. In one I read, only the Platinum-level (8 guests) hostess package includes the Bio mask, and it’s only for the hostess. The goal, of course, is to entice the 8 guests to each host an experience. I also heard a reference to cutting up the bio mask. So, there will likely be various versions floating around. That makes a lot more sense. But weren’t we taught that women weren’t going to buy things unless they could try them first??? The market for women willing to pay $70 for a 2 week supply of anything has to be small. $70/month I can see in an upper level income, but not anyone else. I never sold a single TimeWise product without at least them trying it on the top of their hands. Microdermabrasion…same. Visibly Fit is the only one I think I sold on my own personal testimony. Even Oil-Free Eye Makeup Remover had to be demoed to sell it. The only product I ever sold a ton of without a single demo was the paint set for kids’ baths. But, even they were at a lower price point of about $16-24 to my memory. And now there’s new lipsticks. A couple of years ago, they were $13. Now they’re $18. I can just imagine the faces at unit meetings when trying to explain that large of a jump in such a short time! Have you ever thought that some people love and enjoying this and it’s not about the money??? Some people just enjoy the time and meeting different people just like you enjoy wasting your time writing post if things you don’t know nothing about. There’s a lot of things you can find cheaper at other places but why talk about women that are trying to provide for the family? I rather spend 20 bucks helping a friend trying to support her self then to spen a dollar at the dollar store getting someone else rich while the person who sells it to me is only making 7.25 a hour. Providing for the family is great! Did you know that over 99% of people who participate in MLMs actually LOSE money? There is no providing for families going on here. They’d be better off working at the dollar store, because making $7.25 an hour is much better than losing money! Leadership Conference is about to start. Brace yourself. Mary Kay consultants buy the products at marked-up prices directly from Mary Kay. It’s the consultants, themselves, who are enabling Mary Kay Corporation to grow richer each day. True: mk consultants are the only ones buying maryKay things. They are the real customers for MK. Cause’ they buy and spend theirs money in this company. Anybody else pays for the “pink dreams” poorly girls. You just contradicted yourself. You said it’s not about the money, but then said it was a way for someone to support her family. So, which is it? If you’re not in it to make money, it’s a hobby, which COSTS money. If you’re in it to make money, you’d better be willing to show proof of doing so. I’ve met a lot more people in my paying, benefitted career than I ever did in MK. At least my friends now aren’t faking it until the day I leave…like people in MK did. You do realize how wealthy the heirs of MKI are, right? And exactly what brand is sold at the dollar store? I wouldn’t use any of that on my face if you paid me! * Correction* The value of the product you receive as hostess. If you have 8 girlfriends, you get $120 in product for $35. And so on. I asked a friend who is au courant with all things involving beauty … those masks appeared in Korea and Japan over a decade ago. Perhaps a patent on an ingredient or process has expired and now Mary Kay doesn’t have to pay licensing fees? They went viral in the states in April. – Take a selfie with a beauty-filter. – Claim your “flawless look” is due to the new mask. – Wait for your toadies to gush and tell you how gorgeous you are, both inside and out. I’ve been getting sheet masks at my local Asian grocer for years, $12 for a box of 10. This is such a ripoff, it’s incredible! I buy mine, $135 for a box of 10. So I don’t consider theirs to be a rip off. But haven’t tried them either. Mine aren’t the cheapie ones from Asian markets. If used twice weekly, yours is $135 for 5 weeks, which is STILL cheaper than MK’s. And I bet yours is a much better brand. I use 1x a week but sometimes I skip weeks. It just depends on how my skin is. I haven’t tried Mary kays but to be honest why not, they have a money back guarantee so now I would actually like to try and compare to mine. Why do you say that? I don’t sell MK anymore, but I do still like some of the stuff, I buy from my old director. Never had a problem getting money back when I’m not happy with something. That’s probably the best thing about mary kay, is all customers can get their money back. Some stuff is good, but some stuff breaks me out. I only sold for a short time, actually wasn’t a bad experience for me, but I really didn’t like the ambiance I guess. “Our culture” they call it. I.e. forcing religion. “All” customers can get their money back. Unless your consultant makes it hard for you. Or if she stops being a consultant. Then you have to call the company and try to get your money from them. Which will be impossible if you don’t have documentation of who you bought it from, when, and for how much. I’m not understanding why a consultant would make it hard? It’s super easy…you either give them their $ back or if they just want to exchange, you can do that too. If it’s like wrong foundation color etc. Mary kay ships you the replacement for free with no questions. I got replacements for myself for like $280 retail in one go once. My skin changed after my last baby so couldn’t use the skin care, which I actually liked. If the consultant isn’t active the company still gives the customer their money back. If you don’t have a receipt you just read the day code off to them on the phone. Their return policy is really the best thing about them imo. Sounds like it didn’t used to be that way? That’s not good. No, there are TONS of stories of Consultants ignoring calls and requests for a refund. While MKI will honor it, it’s terrible that a consumer has to go through all of that. That’s another reason I won’t use MK ever again and will get mine through Sephora or Ulta. MK doesn’t just honor it easily, either. They want to know who sold you the product and for how much, so they can get the money back from that consultant. that is a big fat lie. the company NEVER seeks money back from a consultant for a return. That’s a big fat clue that you don’t have a lot of customers, team, or unit members. If you did, you’d have had a Consultant hide from refunding money to their customer and have them getting it from MK corporate instead. The company then charges the Consultant the cost of it, which can be subtracted from their next commission check if they’ve one high enough to cover it. Oh dear just saw this. It appears as though there are two “Char’s” posting here. This one isn’t me! I would never buy product and support a scam company which helps them to exist. Do a search and you’ll find lots of ideas for DIY sheet-masks. 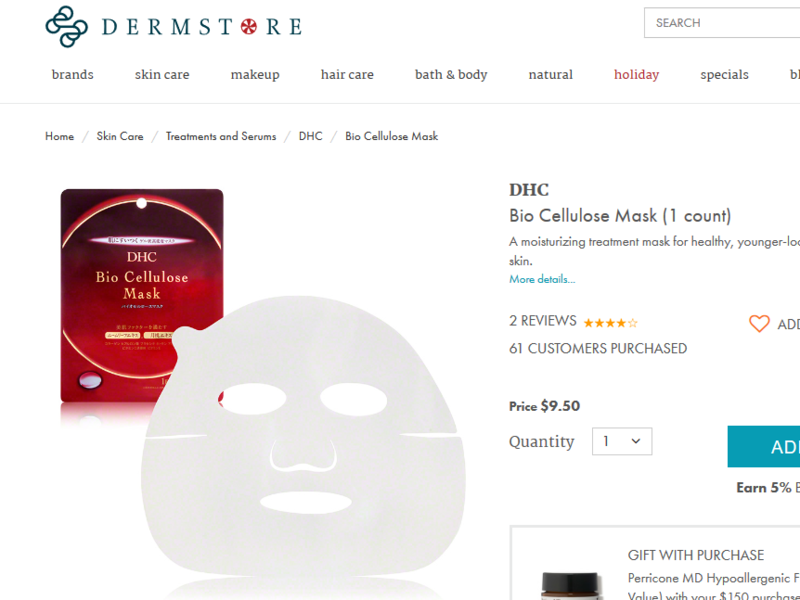 I get bio-cellulose masks from Estee Lauder at the Tjmaxx for $15 for a box of five! Expecting a customer to spend $17.50/mask is absolutely ridiculous! Sooo glad I got out!! If you’re desperate to try one of these things, I saw some at Claire’s (yes, the tweener store at the mall) for about $4 for one! LOL!